Last week I bought the first ice cream maker of my life. 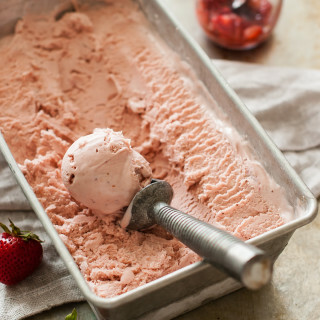 I know that blender or no-churn ice creams are all the rage right now, but personally, nothing will ever beat a bowl of creamy, slow-churned homemade ice cream. My kids have been beside themselves with excitement. The flavor options are endless and they are full to the brim with ideas. Though “carrot” or “computer” flavored ice cream may not be happening anytime soon. Sorry kids. 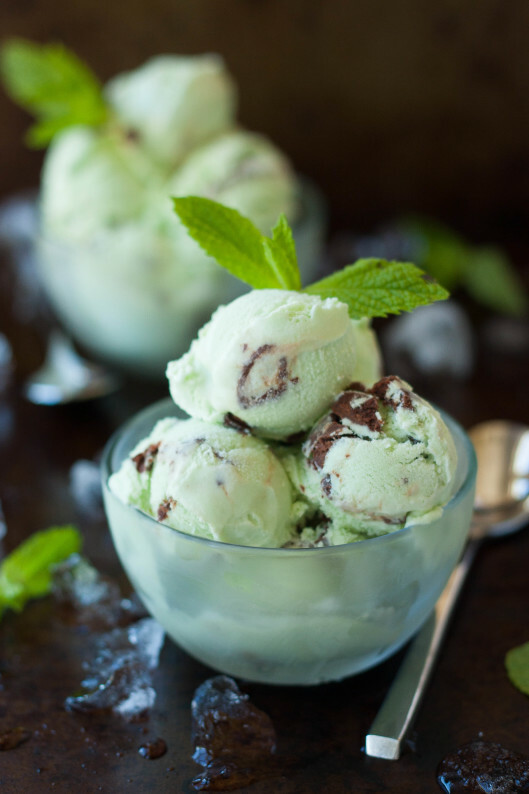 I love mint chocolate chip ice cream, but sometimes I’m not in the mood to crunch on frozen pieces of chocolate. I’m a bit weird, maybe? So I switched out the chocolate chips for chunky swirls of chocolate ganache. 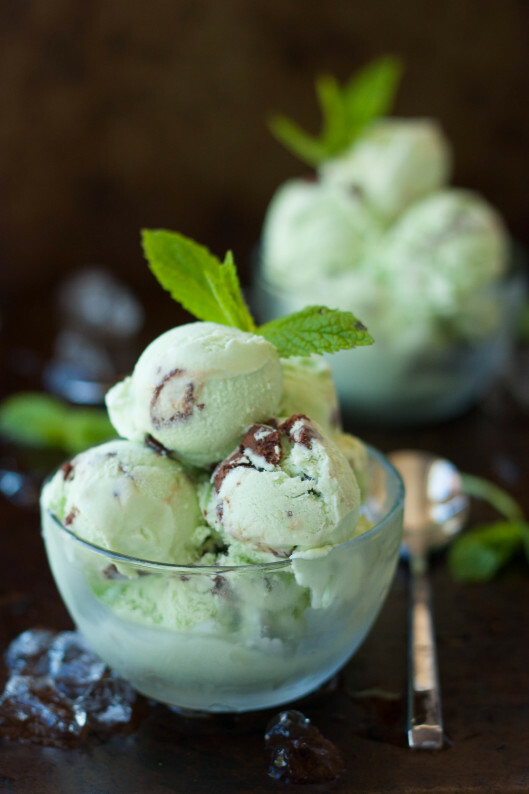 The ganache is swirled in after the mint ice cream finishes churning in the ice cream maker. Then it’s scooped into a container and frozen solid. The ganache ends up being like super fudgy, dense pieces of brownie. This is seriously yummy stuff we’re talking about, Folks. to flavor my ice cream and it was fabulous. 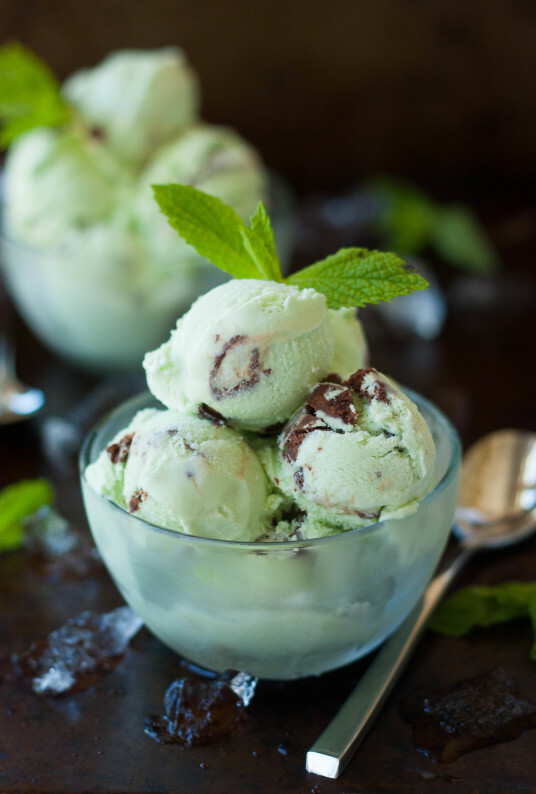 You can use mint extract, of course, but I find that the oil gives the ice cream a cooling mint flavor that doesn’t hit you over the head. It’s a little softer, somehow. This has been one of my favorite ice creams to date and I know I will probably end up making it every few weeks. We eat a lot of ice cream around here. And by ‘We’, I mean 50% me, 25% husband, 25% kids. I mean, I just want to do my job well, that’s all. 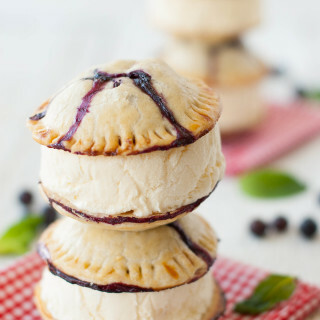 And doing my job well means that these recipes have to be tasted several times, right? 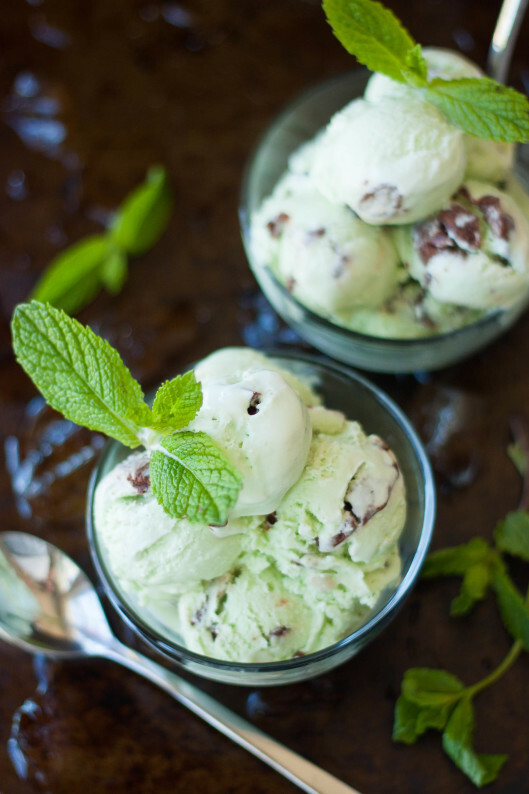 Looking for an easy blender ice cream? THIS one is a keeper. More in the mood for something rich and chocolatey? 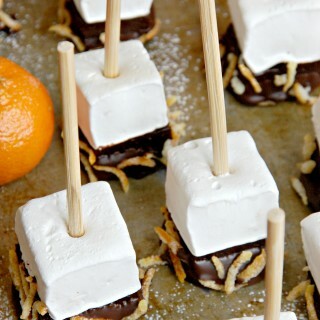 THESE are just awesome! *Mint extract can be used in place of the peppermint oil. Use ½-3/4 t. in place of the oil. 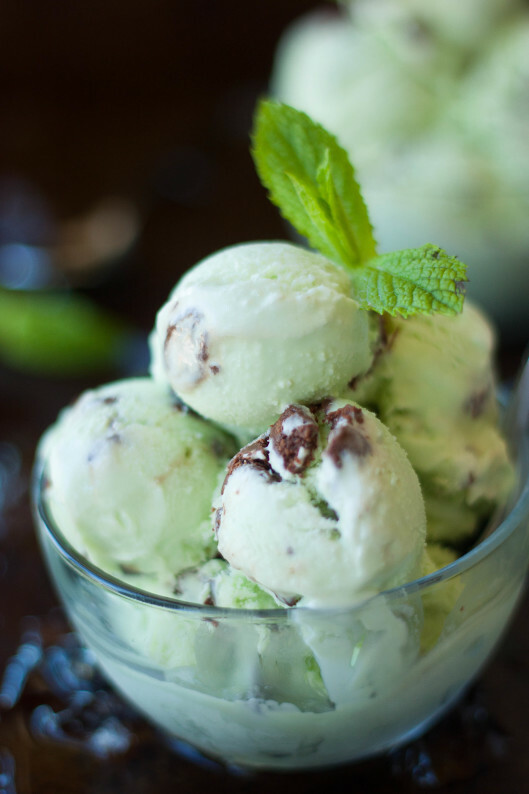 Place the heavy cream, milk, sugar, peppermint oil, and a drop or two of green color(if using) in a large bowl. Whisk briskly for 1 minute, until sugar is dissolved. 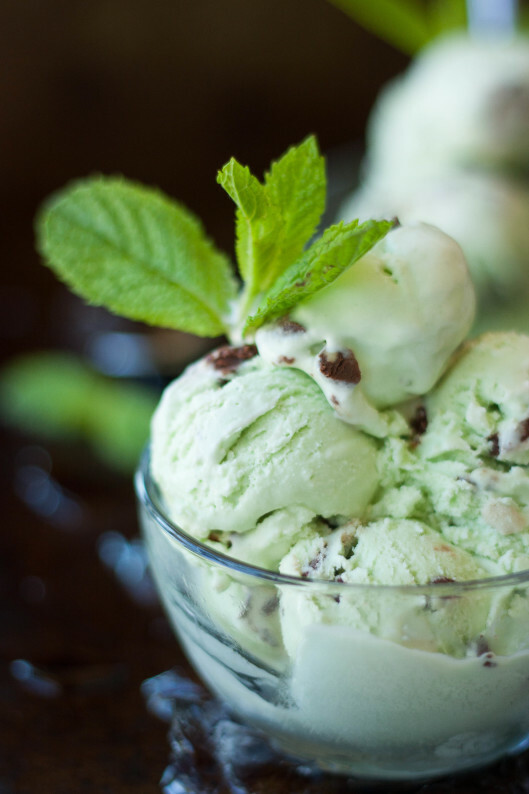 Place the mixture in the bowl of an ice cream maker and freeze according to manufacturer instructions. While the ice cream is churning, make the ganache. You want it to be completely cool by the time you swirl it into the ice cream. Place the chocolate chips and ¼ c. cream in a microwave safe bowl. Microwave on high for 30 seconds. Remove and stir. Microwave for another 30 seconds and stir until the mixture is fully melted and smooth. Let cool. When the ice cream is finished it should be very thick and creamy. Scoop ⅓ of the ice cream into a loaf pan. Drizzle ⅓ of the ganache across the ice cream. Scoop another third of the ice cream into the pan and again, drizzle with ⅓ of the ganache. Top with the remaining ice cream and drizzle with the remaining ganache. Let stand at room tempurature for 5-10 minutes before scooping.